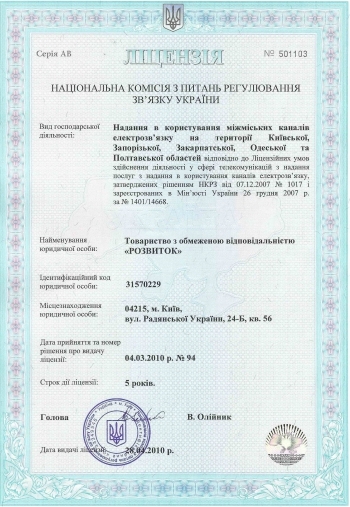 Nation Commission for State Regulation in the Field of Communications and Information, under decision dated 8 november 2012 # 569, gave for Rozvytok LLC right for realization of activity on all territory of Ukraine. 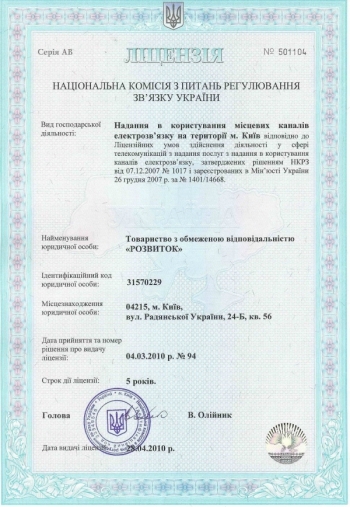 Rozvytok LLC has six intercity and local regional licenses of the National Committee for Communication Regulation of Ukraine that are required for providing the leased lines telecommunication services in city of Kyiv and Kyiv, Poltava, Odesa, Zakarpattya, Zaporizhzhia oblasts – issued at 28.04.2010. 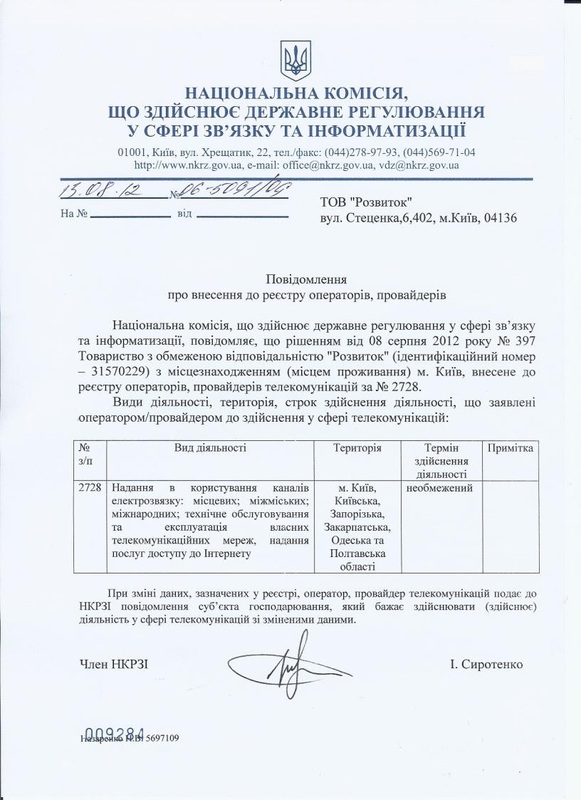 Local Communication Lines Services in city of Kyiv as of Licence conditions for communication services activity of circuits leasing, approved by NCCR decision at 07.12.2007 #1017 and registered at the Ministry of Justice of Ukraine at 26.12.2007 #1401/14668.